There are 2 seasons in Guadeloupe and in the surrounding islands as a dry season called Lent "which runs from January to June and a rainy season that lasts from July to December. Side temperature, with an average of 27 ° C there was little difference between the hottest months (from 24 ° to 31 ° C in summer) and the coldest (20 ° to 29 ° in the winter ). The specific geography of Guadeloupe, the contrast between the Grande Terre and Basse Terre, entrainne also a climate specific to each of these islands. La Grande Terre and its limestone plateau regularly experiencing severe droughts, while at the same time, the terrain perpendicular to the flow of trade winds Basse Terre regulates the regime of rainfall. 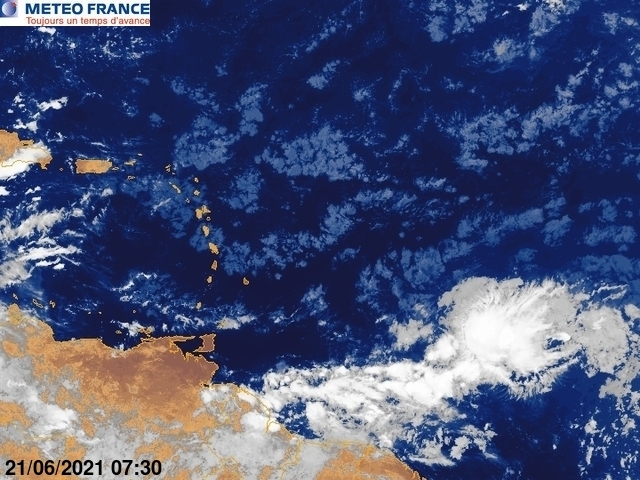 You can see the current weather conditions live on Guadeloupe and its surroundings by clicking on the thumbnails below.